The one about coming home from holiday | What's a daddy for? It was the early hours before we arrived back in Northern Ireland. The journey had been long and gruelling and it was after three before we got to the house. We were all tired, crabid and, I suppose, a bit fed up because the holiday was over. Italy was already nothing more than a pleasant memory. 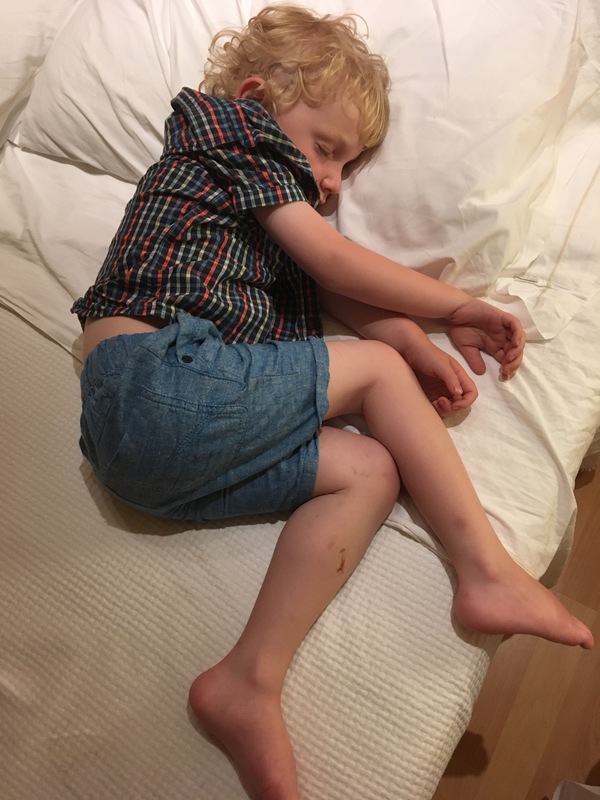 James had grabbed a bit of sleep on the coach, plane and car but was now half awake again so we wanted to get him to bed immediately. The house was cold after being empty for a week so we put him in our bed and Debs cuddled him tight. I jumped into bed and was startled momentarily by a large furry object on my pillow. It was one of James’ favourite teddies. Despite his exhaustion James was delighted by my instinctive shocked reaction and began to laugh. A little at first and then in floods until he was giggling uncontrollably. I held his little body which was trembling with good-humoured abandon. His laughter was so contagious that soon Debs and I were helplessly joining in. The sun was already beginning to rise over the horizon and creep under the blinds. I can’t remember anything after that so I suppose we must have drifted off to sleep in that way, cuddling and giggling in the half light. It was one of those rare, undefinable, irrepressible moments of parental joy when all the pressures of the world were far away and you didn’t have to pretend to be cynical about everything. I know James won’t remember it for long but I will. In fact when I am older and even more confused than I am now I would be perfectly satisfied if this was one of the few memories which stayed with me. The night we came home from holiday and laughed ourselves off to sleep.